Contact any officer or member of the leadership team (see below) with a request for our services or if you are interested in becoming a member of Bluebills. the Olympic Peninsula. 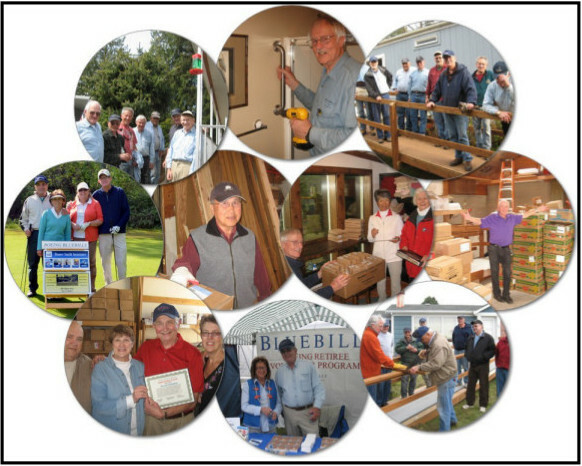 Our chapter has a number of programs that serve the communities. The following is a brief description of each program. This is a program to make homes safer and more comfortable for the elderly and physically disabled. Clients are usually referred to us by agencies or hospitals. Funding for material is from the agency or client. Common projects are ramp construction, grab bar installation, door widening for wheelchair access, railing installation and minor home repairs relating to safety and ease of living. This is a World Vision program that obtains, processes and distributes top-quality, donated products to the needy. Goods are distributed free of charge to agencies, churches and schools. 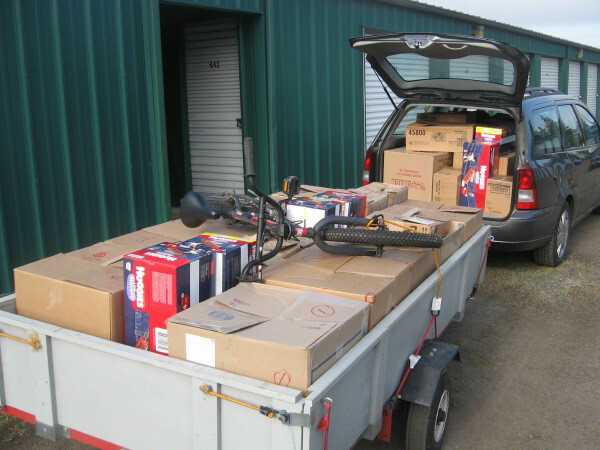 Bluebills pick up goods from the World Vision warehouse in Fife, WA. and distribute the products to eligible organizations in our area. Working through World Vision, Bluebills provide school supplies to the 14 schools in our area that have over 70% of the students on free or reduced price meals. Twice a year Bluebills pick up about 11 pallets of school supplies from World Vision in Fife, WA and deliver the goods to these schools. 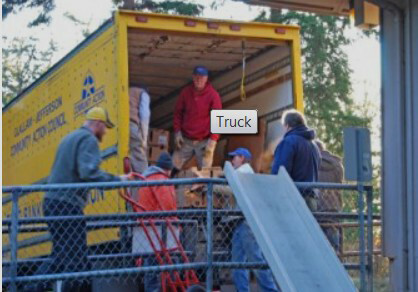 On the second Tuesday of each month Bluebills unload the truck for the Tri-Area food bank in Chimacum, WA. This program assists families of Domestic Violence & Sexual Assault in Jefferson County, WA. 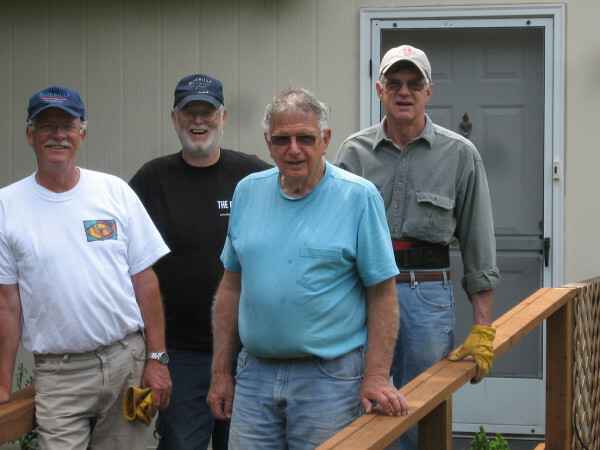 As well as providing goods and furniture for families, a number of Bluebills volunteer to work at the Dove House. Jefferson and Clallam Counties, WA. 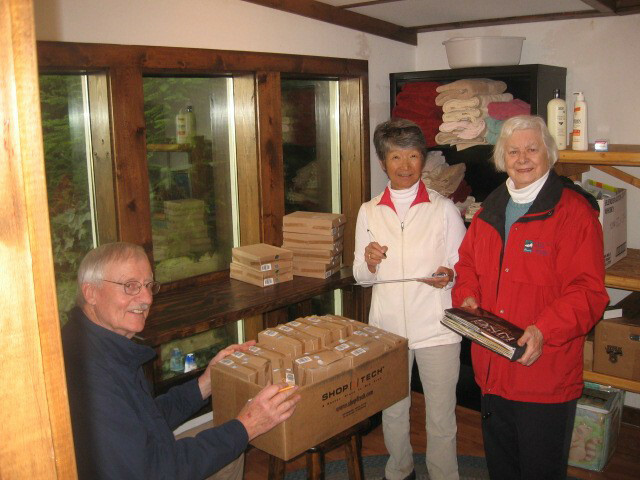 In 2011 this program provided gifts for 82 families - 121 individuals who may not have been expecting to provide any Christmas for themselves or their children. 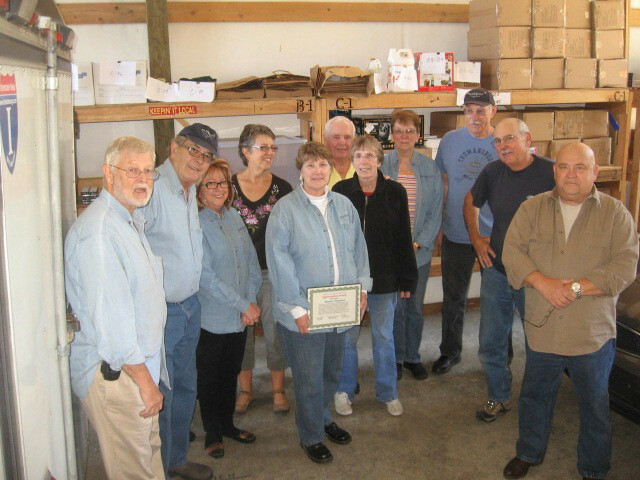 In addition to serving the community we attempt to foster a spirit of teamwork and friendship among our members. Each month we publish a chapter newsletter called the FLYER. It is distributed electronically to all members and selected agency personnel. Leadership Team meetings are held at 9:00 on the second Tuesday of each month at the Bay Club in Port Ludlow. Exact date in the FLYER. Each quarter we hold a social event which includes lunch and a program. Details are published in our FLYER. Contact any officer or member of the leadership team with a request for our services or if you are interested in becoming a member of Bluebills.